Honest discussions for creative peeps. Oh hello! Welcome to another ripper episode of Wowee! In this chunky episode we chat to super talented creative business queen Kym Purtell! You might be familiar with Kym’s current business children’s bedding and apparel label Halcyon Nights? Or perhaps you remember the super cool chain of shops in Melbourne Fat? Kym was Co-founder and Director of the iconic multi-brand retailer! Before this she also started up and sold a natural skin care company called Milk! What a business mover and shaker! Listen in as we chat to Kym about the highs and lows of running businesses, working with friends, staying motivated and balancing it all with family. Nice! At long last! We know you've all been waiting for this one! It's your magical host Esther Sandler's very own ep! Besides co-hosting Wowee!, you might also know Esther from her stunning fashion and ceramic accessories label Togetherness? Or perhaps you've fallen in love with her freelance work creating playful and bold surface designs? Well, either way in this mega episode you'll get to follow the unique stepping stones Esther took to get to where she is today, find out all her Wowee! moments and enjoy some deeply moving GUEST questions. Hooray! Weee're baacck! Hello 2019! Hello to a new season of Wowee! In this minisode Esther and Penny chat to each other about why the end of last year got a bit quite for Wowee. Oops! We also reflect on how 2018 was for our own businesses - what worked, what didn't work - and talk about what exciting goals and plans 2019 holds for both us and Wowee! Listen in creative peeps! My gosh, so excited to bring you this corker of an episode. In this ginormously long conversation we talk mega deep with the outstandingly talented and awesome craft based designer Kitiya Palaskas! Come listen in as Kit tells us about how she sort of 'fell into' designing super amazing costumes, props and activities for huge name bands and companies. We also talk book publishing, file through the GUEST questions and then spend an hour and half chatting about some other stuff. Fun! Well it looks like 'it's been a while' again! Woops! Sorry guys. But I reckon it's totally worth the wait - because we the super duper amazing textile wizz Cassie Byrnes of Variety Hour in the podcast bunker today! We were so honoured to chat to Cassie about how she grew her amazing small business from humble beginnings all the way to navigating some mega clients and even opening a shop! We also talk about how fun it is to sue someone and then tell some hilarious jokes. Not at the same time though, obviously. Enjoy! Today we are jump out of our seats excited to have one of our dear friends, the supremely talented textile designer Tara Whalley join us on the podcast. It was so exciting and interesting to hear all about how Tara got her start in the fashion industry working for a year in a textile house in rural Guatemala. Talk about wowee right?! In this episode we also find out how Tara built up her own fashion label based on these unique experiences and of course, hear lots of funny stories along the way. 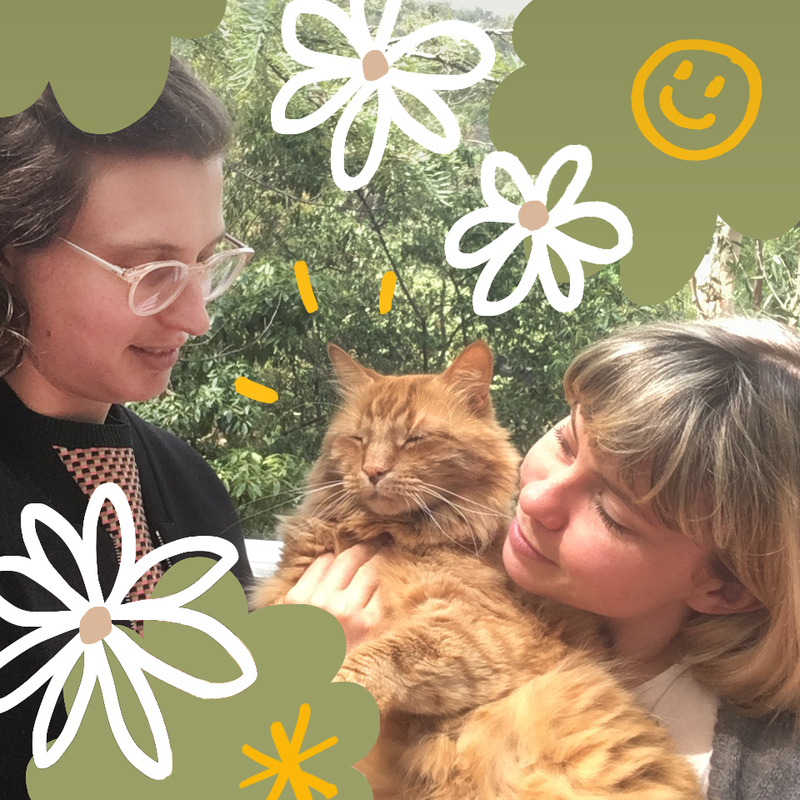 You asked for it, so we said okay - in this episode Esther interviews Penny! Listen in to hear all about the humble beginnings of Min Pin and how Penny navigates the uncertain waters of running a small creative business. We also attempt to answer some of your listener questions and try to be as clear and helpful as possible - but really we just go on tangents and talk about ghost stories and finding money! We are so excited and honoured to have the amazing and talented Mia Timpano in the poddy bunker today! Mia, professional writer and currently the assistant editor and online editor of Frankie Magazine, provided us with some super interesting insights into the world of writing, publications and interviewing Debbie Harry! If you're a budding writer, or just like to nosey in on other people's conversations, then this episode is for you! Oh hello 2018! It's so nice to meet you. Yep, Wowee! is back for another year of quality podcasting with your favourite makers! This week we're starting off big with one of our long time favourite designers Emily Green! In this episode, we find out all of Emily's secrets to success and how she grew her jewellery and design empire right here in Melbourne. We also talk being a mum, copy cats and exciting future endeavours! Wowee gosh! It certainly HAS BEEN A WHILE since we recorded an episode of Wowee. Super sorry guys, we have just been flat tack with all of the end of year busyness! In this "wrap up the year" episode we reflect on all the awesomess that Wowee! has become and talk through the many highs and lows (HAL) of 2017. Thank you so much for all of your support this year listeners and stay tuned for an action packed poddy next year! Mega excited to have the super talented and lovely Julie White on the podcast today! We have been huge fans of Julie's stunning illustration work for a good while now and it was so great to get her in the studio - and all the way from Adelaide! In this juicy episode, we sit back and chat to Julie about her journey as a designer, what it's like to study in Glasgow and why she chose to focus her label on those delicious scarves, tights and socks! Holy moly, it's the famous live episode! And no, we didn't interview the band Live, we chatted up a storm with the amazingly awesome power sisters Annabelle and Alana of Paradise Structures! Recorded in their super cool shop Perfect Splash in front of a live audience, together we all talked about what it's like to open a shop, our favourite biscuit flavours and how amazing collaborating with your sister really can be. Then, in this Wowee! first, the tables turn and Annabelle and Alana take the question chairs and interview Lori, Andrew and Esther from the amazing band Pappy (of Wowee! intro song fame) about their magical musical life. It's officially time to turn on and tune in because we have the super duper lovely and talented Abbey Rich on the poddy today! 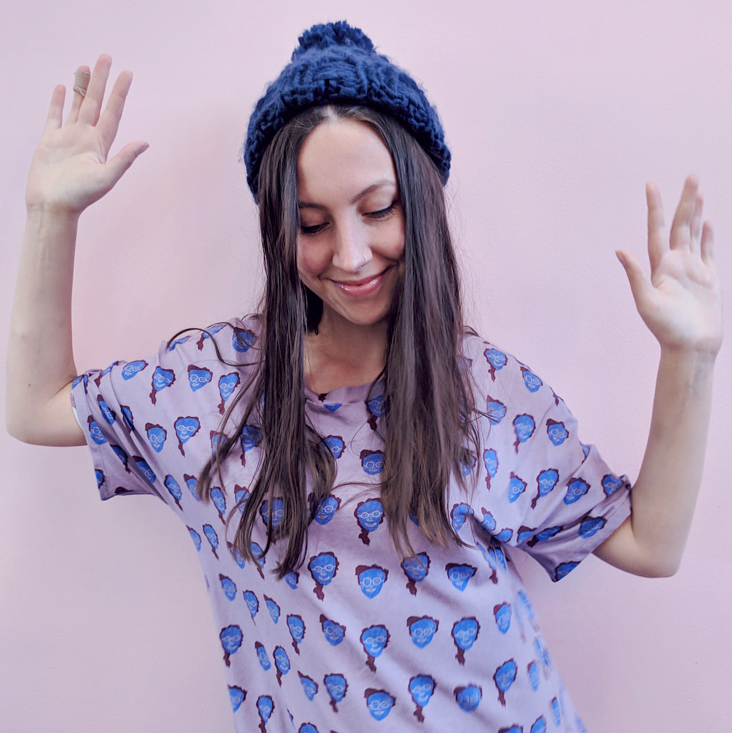 In this juicy nugget of an episode, we chat to Abbey about her practice as an artist, textile designer and clothing design magician. Listen closely as we talk about the importance of pursuing slow, ethical fashion and what it's like to juggle working full time on your label whilst still studying! Welcome to the podcast Frances Cannon! We are head over heels excited to have the super talented artist on the show this week. Sit back and listen in on our convo with Frances as we talk drawing, copyright, mental health, bodies and what it's like to be a famous woman on the internet. In this episode of Wowee!, we drag the infectiously creative multidisciplinary artist Georgia Anson into the bunker and get her to tell us all about the colourful world she builds through her art. We also put her on a mission to review some local exhibitions in Melbourne, including Deborah Prior's show 'Slipping to Close' at Rubicon ARI. Listen now to hear Georgia's awesome insights on art, animals and some exciting new shows! Yes! It's another Teach Me Wowee! In this heady and dense episode, Esther tells Penny all about the rich and colourful world built by Japenese visual artist Yayoi Kusama. Penny then grabs her teaching hat and explains to Esther just how incredible the 1960s Scottish folk band The Incredible String Band actually are. Don't miss this one! Talk about wowsers! Please welcome to the podcast, the unbelievably amazing and super lovely John Brooks! Based in Melbourne, John is a multidisciplinary artist who primarily focuses on weaving and video work. In this episode we discover that yes, John's life is as rich and textural as his art! We also talk weaving, Icelandic residencies and get all up and around the insides of astrology. Oh my goodness! Super talented and all around amazing craft superstar Cat Rabbit joins us in the bunker today! In this episode we are taken into the magical world that Cat builds with her adorable felted plush characters. We also talk about the realities of running a small business, publishing children's books and what happens when your Instagram blows up! Photo of Cat by Tatanja Ross. In this first Teach Me Wowee! minisode, Esther and Penny get out their notebooks and teach each other about a super cool creative thing that has inspired them and made them go 'oh boy, wowee!'. Learn all about the amazing and unique illustrations that came out of a tiny, isolated village in Northern Greenland back in the early 1900s. Then sit back and hear all about Bauhaus textile genius Gunta Stolzl and the rich tapestry that her life came to be. We are absolutely honoured to have graphic designer, illustrator and Risograph printing zine queen Ashley Ronning joining us in the bunker this week! Currently based in Melbourne, Ashley combines freelance work with her own design projects including her super amazing publishing project Helio Press. You've probably seen Ashley's work in the pages of Frankie Magazine, at your local zine fair or postered up around the streets of Melbourne. In this episode we chat about Ashley's biggest wowee moments, creative blocks and how damn cool space is. Please welcome Melbourne based Shuh Lee to Wowee! Podcast. Shuh. is an amazingly talented designer and illustrator who works across many mediums including textiles, jewellery and ceramics. In this episode, Shuh talks to Esther and Penny about her work process, favourite Malaysian dishes, dream collaboration and much more. In the first episode of Wowee! Podcast, Penny and Esther successfully navigate the recording bunker and their microphones and go on to discuss the purpose behind Wowee, their current inspirations and talk shop about life and work.